The African continent is laden with wildlife scenery and treasures beneath its soil. This is why we have gathered a list of slot games that will take you into this part of the world to experience the wildlife and win rewards. The King online slot of the forest awaits you on this 5-reel and 25-payline slot game. Be brave to meet the king of beasts to earn some fantastic rewards. This real money slot takes place in a safari-style background. There is no fuss with the design of the graphics of this game. The reels are set against a lush grassland backdrop. The Lion is the wild symbol of the game. It lands on all reels of the game to award up to 20x multiplier of your stake. The King slot has free spins and other bonus games that come with it. 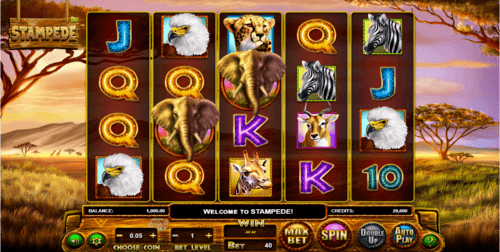 Stampede UK slot video slot game from Eyecon takes you into the vast landscape of Africa. This game comes with a low volatility at 95.02%. this slot game comes with 5 reels and 1024 ways to win. The graphics of the game is nice and has a savannah landscape background. Players get to join the stampede with a betting range starting from 0.25 to 50.00. The symbols that are seen on the reels are wild animals, the rising sun in the savannah landscape is the wild symbol while the elephant is the scatter symbol that will offer you free spins and multipliers. 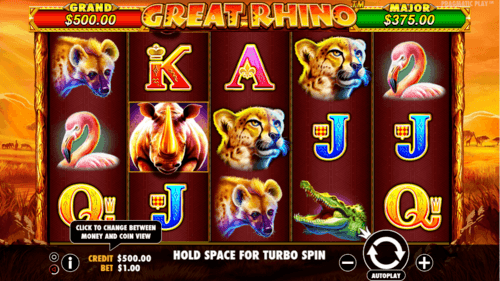 Get ready to go hunting for the Great Rhino online slot across 5 reels and 20 paylines. The most rewarding symbol of this game is the Rhino himself. Land five of it on the reels and your wins will be increased 10 times. great Rhino visuals reflect the wildlife of Africa. The reels are set against grassland with the sun kissing the landscape goodbye. This game by Pragmatic Play comes with the free spins feature and super Respin feature that offers you an increased chance to make more winnings. If you admire the landscape of the African wildlife then this game is for you. 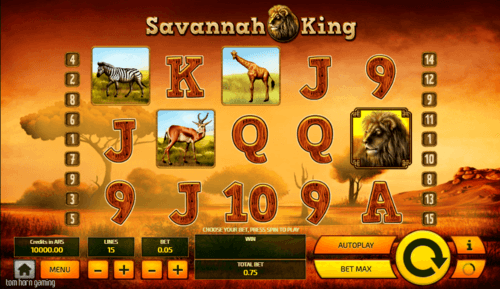 Savannah King slot game is played on 5 reels and 15 paylines. This game from BetSoft has wild symbols that substitute other symbols to complete a winning line. The graphics of the game is nice, simple and innovative. There is also the scatter symbols that activate the free spin feature. Upon activation up to 20 free spins are awarded. Savannah King has a great RTP of 95.27%. 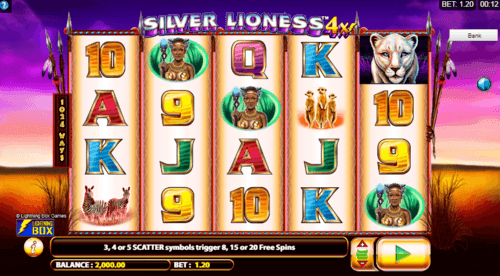 Silver Lioness 4x slot game is played on 5 reels and comes with 1024 ways to win. This safari styled slot game comes with up 40x multipliers that make this game superb and interesting. The silver lioness is the wild of the game that offers you 200 coins when it lands on reels 2, 3 and 4. The symbols on the reels include wild animals and playing card symbols. This game from Lightning Box Gaming has free spin features boosted by a massive 36x multipliers. African wildlife is a wonderful thing to experience. Meet the wildlife creatures on these slot games by playing them here at Rose Slots.